Radio is still with us, although it is mutating through and across technologies. While webcasting, streaming, and other innovations call themselves “radio” and integrate new technologies of listening, broadcasting and interacting, there is still a cluster of interrelated practices tied together by expectations of format and experience. These expectations, born of experience and history, are what keeps radio together. I’m interested especially in the experience of intimacy as it comes from listening in time: this experience is ephemeral – tied to the moment. But it is also physical – experienced in our bodies. And, it is shared – when we listen with others we know and feel them listening too. 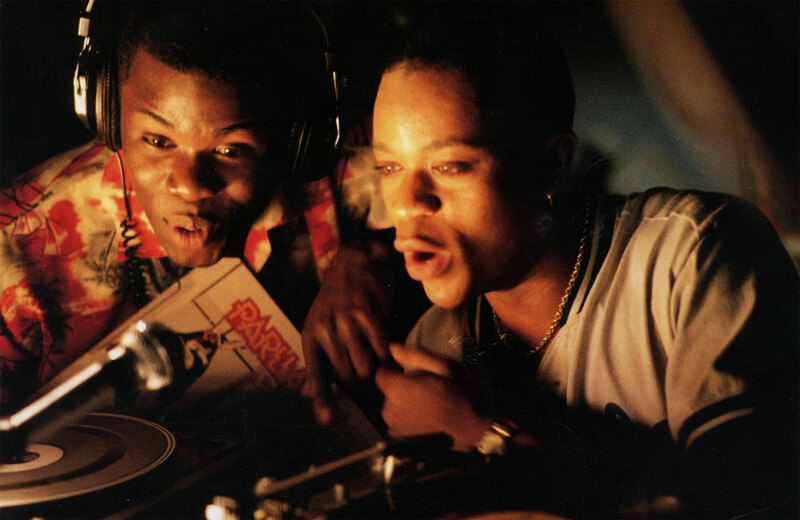 I came to radio through my practice of and research into dj culture. What drew me to dance music was the experience not only of hearing music but of feeling it as a living presence in time. As a dancer, soundsystems enfolded me in bass, but also set me vibrating in time to other people in the room, as we breathed and responded together. The power of the music came not only through the speakers, but in the way music resonated with the people in the room – our shared response amplified music’s presence and gave it different meaning. As a DJ, I ride that connection between music and audience, reaching for shared knowledge – a classic tune! a beloved or unexpected sample! – but also those moments that can only be experienced together in real-time, where you feel the other people’s responses around you in time to the music. That kind of sharing can be an intimate experience, for all that it can happen in a room full of strangers. As the lights come up, sweat-soaked, we may grin at each other and go our separate ways, but something might have happened, between us, in the dark. This is even more true when the shared music connects to shared histories and vulnerabilities – when nightlife is a refuge where you can express parts of yourself that aren’t always welcome in the daytime world. Radio doesn’t have the decibels, usually, of dance music experience, and doesn’t come live only at night, but its power to connect relies on some similar dynamics. These moments turn what some call radio’s weakness (its ephemeral and time-specific existence) into a certain kind of strength. We should remember the first sound-systems were radios, set up in yards and parking lots of liquor stores in Kingston Jamaica. Dance with Sonido Niño Wuepa, Pirata and Inmensidad at Salón Roma, Medina neighbourhood, León/Guanajuato, 2016. Radio’s physical and social intimacy in a collective sense, haven’t been addressed my many radio scholars. My impression is that this comes from some cultural myopia, at least for UK and North American scholars. Radio intimacy, for many of these, comes from its ability to permeate everyday life and private spaces. This is a kind of familiarity: radio infiltrates your day, accompanies private moments, is along for the ride as you go through mundane experiences. Another aspect of intimacy is based in the physical experience of listening itself: as an audible medium, radio can embed itself in our imaginations as we add our own mental images to the sounds we hear. When I drop a storming jungle track in the club, the sound addresses our bodies, and we all vibrate in time together. But even listening to the radio, the sound touches our eardrums and the vibrations link us across space as we orient ourselves towards or away from the sound. In radio studies these intimacies are often discussed in personal terms – a ‘one-on-one’ relationship between a single listener and a broadcast. But many people’s experiences of radio are collective as much as individual! Ricardo Cano/Sonido Pinky at the “Dance without Violence”, Salón Azul, León/Guanajuato, 2016. We should remember the first sound-systems were radios, set up in yards and parking lots of liquor stores in Kingston Jamaica. In other parts of the world, radios are found as often in public as in someone’s home. And in US cities especially, some communities listen to radio at work: in kitchens, taxis, auto body shops and car washes. In these spaces as well, radio addresses the body in a social way: sound resides in the space between people and can be heard and felt by all within its reach. This is that crucial connection not necessarily between listener and broadcaster, but between listener and other listeners, built out of the experience of hearing, feeling, moving and responding together to a sound at the same time. This leads us to the question of time. Broadcast radio is traditionally a time-based medium – although sometimes archived and recorded, a great deal of it is produced for the experience of listening in time. Some see this as a limitation, one that can be transcended by new media forms. However, when broadcasts occurs in real time, listeners respond in sync with each other, breathing, laughing, commenting, flinching or dancing together, and are aware, directly or indirectly of others’ responses. People are moved to share these responses even remotely listening – this is why pirate radio has such a rich tradition of interactive audience responses, from calls, pages and texts to the station, to the clever manipulation of the phone system to use a missed call notifications as virtual applause for a tune. People know they are reaching the DJs, but they also know they are not reaching out alone. Especially when your music and your community is not welcome on other media channels, you reach for a sense of collectivity that is heightened by liveness. 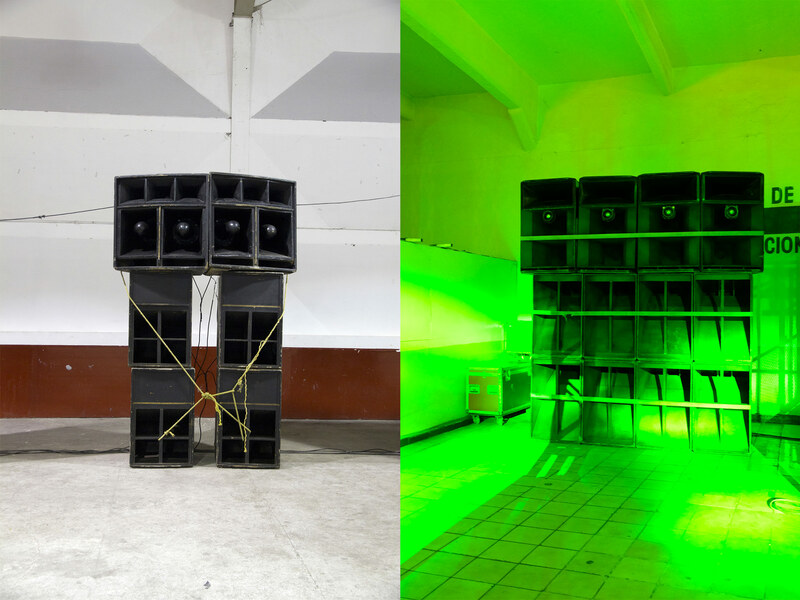 Soundsystem of Sonido Siboney at a dance in Tlalnepantla, Mexico, 2011 + Soundsystem of Sonido Samurai at a dance at the Olímpico, Pantitlán neighbourhood, Mexico City, 2018. Synchronous listening heightens emotional and physical relationships. ‘Personalization,’ one great mantra of new technological and algorithmic cultures, usually presumes individualistic engagement. But a more collective intimacy is especially important for marginalized communities who may be fragmented or feel unsafe in mainstream society. Such a need also shapes how and when these communities move towards, or away from radio-like media platforms. The kind of intimacy that comes from this shared experience in time deserves more attention. In his discussion of disabled voices on the radio, radio scholar Bill Kirkpatrick describes intimacy as “interpersonal interpenetration”1 including connotations of “privacy, personal space, dialogue, privileged self-revelation, affinity and domesticity, not to mention love, passion and sexuality.” But intimacy, in a society that is unequal, also requires trust. Trust, and its counterpart, vulnerability, are strikingly absent from the list above. 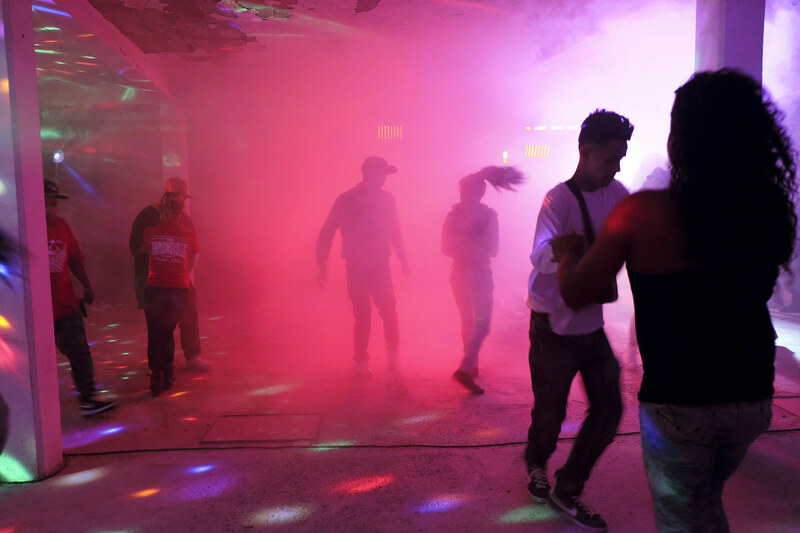 In illegal cultural practices, from pirate radio to street parties, there is a level of trust from all participants that knowing about the illegality will not lead to reporting it. Turning the dial past the legal stations, calling the squat party hotline, slipping through the hole in the fence, we are waiting for signs of others on a similar mission. This reflects a shared oppositional relationship to the law that is constantly reaffirmed each moment we participate. This trust is also shared among participants who see, hear and affirm each other’s oppositional position. Just as law and the state structure us as insiders or outsiders, so too do other aspects of identity. It’s no accident that illegal spaces and cultural practices are especially important for people whose identities challenge the colonial power of the state: immigrants, queer and trans people, Black and Brown diasporic communities. Intimacy resides also in the choice to reveal something that could make you vulnerable, often something central to your identity (body, immigration status, religion, sexual orientation, mother tongue or slang). In discussing radio intimacy, Kirkpatrick suggests intimacy doesn’t have to be a relationship between equals but can include a hierarchy between speakers and listeners. Radio DJs (or radio music) may not be vulnerable to listeners, but listeners may still experience vulnerability based on listening. I wonder if this hierarchy means that there is a different kind of intimacy at play – what happens to intimacy when one person is less vulnerable than the other? At the very least, it may be an exploitative kind of intimacy. 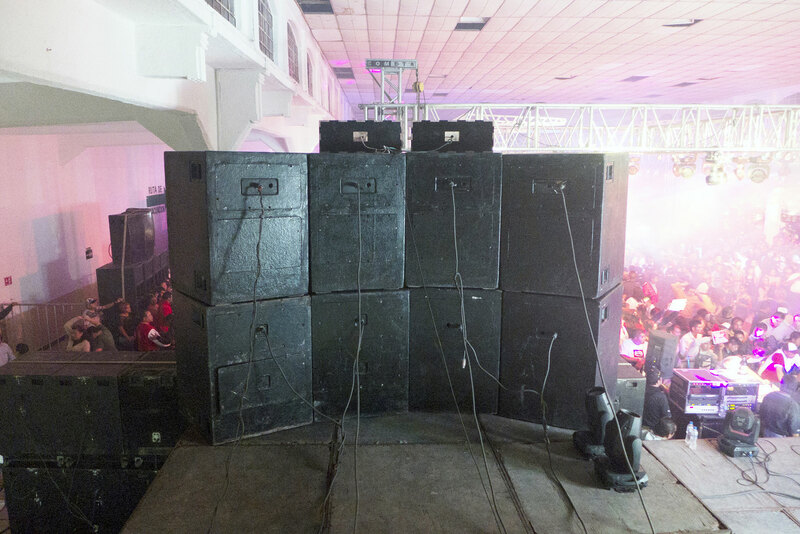 Sonido Super Dengue at a dance at the Olímpico, Pantitlán neighbourhood, Mexico City, 2013. I’m interested in how people build relationships that resist exploitation – and for that to be possible, I’d suggest that a more equal kind of intimacy is necessary: a collective intimacy, which has to involve mutual vulnerability. In the context of synchronous listening, vulnerability comes not necessarily in relation to the broadcaster, but in relation to other listeners. It is this social aspect that contributes to a collective intimacy. 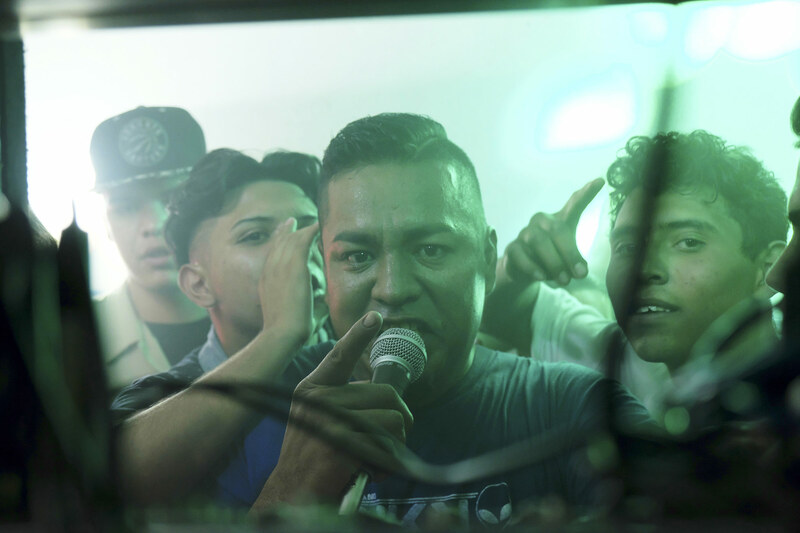 When immigrant listeners, queer listeners, together hear sounds associated with their own particular identity, their own responses reveal a relationship to their community. This is a potentially intimate act, for one becomes vulnerable not only to profiling, losing one’s job or being expelled from one’s family, but also to mockery, derision, and fetishization/objectification of those very aspects. You open yourself up to a co-listener’s judgment, at least when you listen to sounds in front of them, the more so if you respond visibly, showing yourself moved. If an aspect of your identity is a vector of discrimination or danger in the wider world, then listening to associated music on the radio in a place where other people can hear it (such as the workplace or on the street) can generate intimacy with others who are in similar positions to you. At the same time, the same sounds can generate distance or even hostility from those who find such utterances alien, threatening. Street dance with Sonido Maracas in the San Miguel neighbourhood, León/Guanajuato, 2015. These boundaries of intimate listening depend on the meanings that listeners bring to the act of listening, meanings that are not produced by the soundmaker or broadcaster but that exist in shared histories and knowledges of the listening audience. New technologies corporate developers have an interest in atomizing each of us into individuals who engage with culture through prepackaged, finite, interchangeable and storable cultural objects – in the face of that we need to fight for collective, synchronous, embodied – living – cultural connections. She has a PhD in Jurisprudence & Social Policy from Berkeley Law, at the University of California, at Berkeley, and an MSc from the London School of Economics. Her work analyzes the relationship between law, technology, sovereignty and creativity, especially focusing on the ways changing media technologies affect communities’ ability to flourish. She is especially interested in historically marginalized communities’ abilities to create autonomous cultural expression, especially music, and in the capability of music to generate intimacy and decolonize identity among oppressed people. Currently she is working on a book on how Jamaican popular music practices challenge the colonial and white supremacist underpinnings of copyright law and of sovereignty itself, a study of pirate radio in London, England and its reliance on public housing architecture, and research into community-generated privacy principles among community technology activists in Detroit. She has also worked for 22 years as a performing DJ, music writer/blogger and event organizer, most especially with Dutty Artz (NY and the world), and before that with Surya Dub (San Francisco), Konstruct (London, UK) and Toneburst (Boston, MA). 2001-2008 living in Vilnius/Lithuania (Organisation of "Flash Institut"), since 2010 editor of Sonidero City publication series about cumbia music and sound systems in Mexico, Colombia and Peru. Freelance picture editor and lecturer of photography. Lives in Zurich. 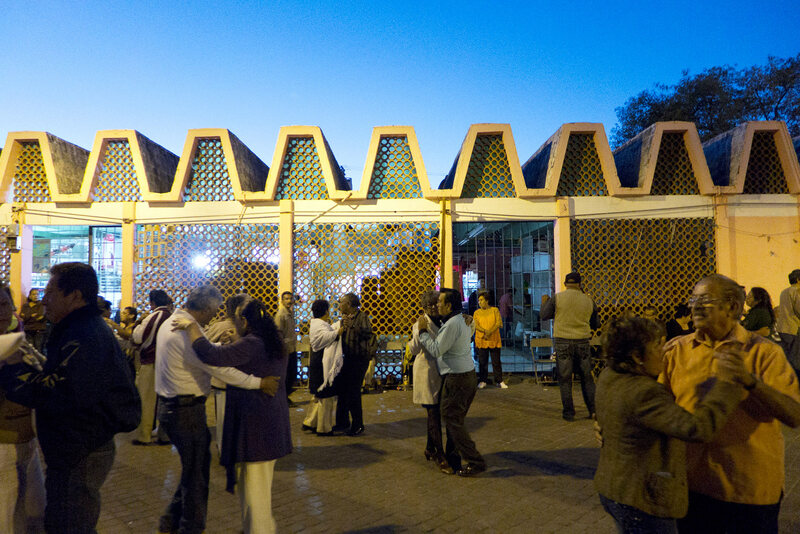 Cover photo: street dance with Sonido Sonorámico, Campestre Aragón, Mexico City, 2011.